Family reunions are a fine tradition but for me and other natural mothers, they can be a catalyst, bringing our buried grief to the surface, reminding us of the missing unnamed and unacknowledged family member. I'm leaving for Maui tomorrow to spend a week with my sisters and brother, nieces and nephews, great nieces and nephews, and their spouses and significant others. We've been holding these reunions every three years since 1975. I’m the fourth of five children, with three older sisters and a younger brother. My sister Katherine put together the first reunion at her home in Clinton, Illinois (pop. 8,000) where she moved from our hometown of Chicago after her marriage. Three of us, my sister Lucy, my brother David, and I lived on the west coast. My sister Helen remained in Chicago as did my mother. My father had died years earlier. Family reunions were a tradition in Katherine’s husband’s family. When she first announced that she wanted to host one for our family, it sounded hokey, provincial. Nonetheless, I and my two (kept) daughters, ages three and one, headed off to Clinton, in the heart of Illinois. At the end of the week, we decided we would do it again. I became a convert and offered to hold the next reunion at my home in Salem, Oregon. We selected 1978 as the date and it’s been held every three years since then. We take turns arranging the event. As our families have grown through births and marriages, we’ve re-located from family homes to tourist areas, meeting in nine different states and once in Ecuador where my brother does business. My daughters, joined by a third in 1977, are always enthusiastic. "When’s the next reunion going to be? I hope it’s somewhere cool." We’ve lost two family members since that first reunion, my mother in 1988 and my sister Helen a few months after our 1996 reunion. Helen's death from lung cancer is still hard for me. She was only 54, a victim of the tobacco industry.We held the 1996 reunion in January because we knew that Helen would not be with us in the summer. We met in Florida, giving Helen a respite from the harsh Chicago winter. I gave up my first daughter, whom I named Rebecca (in previous blogs I have referred to by her adoptive name) shortly after her birth in 1966. At each family reunion until Rebecca and I reunited, I felt acute pain from her absence. I grieved in silence; she was unknown to the rest of the family. I tried to imagine Rebecca was with us, riding on the Matterhorn at Disneyland, swimming in a lake in Washington, feasting at a barbecue in Illinois. I tried to visualize her in the photographs we brought home, constructing her face from her father's and mine. At each reunion, I promised myself that someday she would join us. And in 1999, two years after we reunited, Rebecca came to a family reunion, the one in Ecuador. Family reunions allow us to catch up with family doings in a way that other forms of communication, letters and electronic gadgetry, can never accomplish. Reunions let us know we’re part of something larger even if we don’t much care for some of the components. Reunions reaffirm that we’re okay; our traits may unnerve others but to us, it’s just the way our clan is. There’s no pretense when you’re with family members who have known you since you were in diapers. To paraphrase poet Robert Frost, reunions are the place, where, when you go there, they have to take you in. Reunions must be difficult for for those who were raised apart from their natural families. Adoptee Katie Hern describes her feelings after visiting her natural family: “Back in San Francisco, as my feelings started surfacing, one of the first to arise was grief that I am a stranger to the people I now consider family.”. Rebecca did not share her feelings with me when we returned from Ecuador. Perhaps two weeks with biological kin--but social strangers--was stressful. Perhaps it was also rewarding. I hope it was. This is an excellent book. The authors, the mother and the daughter she relinquished, are sensitive and perceptive. It's loaded with insights on the adoption experience. "This unusual and occasionally disturbing collection of letters traces the evolving relationship between a birth mother and her daughter after they were reunited. In February 1996, Katie wrote her first letter to Ellen, her birth mother, who had relinquished her for adoption 26 years earlier. Within five days, she received Ellen's eager response. The first six months of contact, according to Ellen, were "like a courtship": the two were so delighted to know one another that their letters overflowed with happiness, consideration and self-disclosure. Ellen had been brought up in an insular Catholic household; after she became pregnant and her boyfriend refused to marry her, her deeply ashamed parents urged her to move into a home for unwed mothers and give up her baby. Despite this straitlaced background, she had no reservations about embracing her daughter's gay identity. At first, Katie insisted that she had never felt abandoned because she had been adopted, and said she was looking forward to visiting with Ellen, her husband and three young children. After several meetings between the women and their families, however, Ellen was unable to connect with Katie's overwhelming feelings of loss, which she had previously denied. A further complication was that Katie's adoptive mother felt resentful and threatened by Ellen and Katie's reunion. Despite such obstacles, however, it appears certain that the two women will continue to be a part of each other's lives. Their letters will fascinate anyone involved in adoption." I would never be able to spend two weeks with my first family. If there was a reunion, I might be able to spend an hour. Maybe, on a good day. As I have mentioned, I feel distant enough from my adoptive family. I bonded with no one, until my own children were born. I could never be at a reunion with an entire family full of people I was never united with in the first place. I could do letters, email, maybe a little Facebook. If the right opportunity presented itself, I could do a visit with my first mother, but with she alone. Not with an entire extended family. I attended a large family picnic not long after reunion. It nearly did me in. As a child, i learned to disassociate myself from the pain I felt. I accepted the fact that i did not have a family. When i attended the picnic, at age 49, i realized that I did, indeed have a family. I also realized that they had each other. They had something that I could never have. All my mental running and hiding were of no use to me anymore. My family were real, and they could never be mine. The pain took me under for awhile. They asked me back the next year, and I couldn't go. My mother was angry and nasty about it. They ended the picnic that year. It would seem to me that the pain of seeing all these people who looked like you, acted somewhat like you, etc., and the sense of loss must be overwhelming. My daughter met a large group of our family one Easter weekend, and fortunately her cousin, about her age, suggested that they leave for a while and go for a ride. Though she did not know that cousin--they had just met that day--I know that getting away from the group was a welcome respite for her. In time, my daughter felt very comfortable with my brothers, her uncles. adoptamuss, I'm sorry to hear your reality so stark. Did you ever explain to your mother why you did not want to go to the family picnic? By explain, I mean say more than, I don't feel welcome or comfortable, but try to articulate why? Both first mothers and adoptess sometimes circle around the depth of their feelings and everybody loses. My adoptive family has a clam bake/reunion every year at the end of the summer. These are people I grew up with, most of whom lived in the very same building as I did. Most of the cousins are around my age. We all share memories and experiences and a similar upbringing, having gone to the same school, etc. We were together for every holiday. And I still was not comfortable with this family reunion idea, because I was different. I couldn't put my finger on it at the as a younger person, but I understand it now. I stopped attending these reunions when my first child was born. I lost interest completely. If I went to an adoptive family reunion today, I might last overnight. And that is only because there are those shared memories and experiences to talk about. Even though we are not related genetically, we did share something superficial, for whatever it is worth. A reunion of my first family, even though the same blood is running through our veins, would throw me completely. They all share a history with one another, which I missed. They might try to make me feel welcome, but it would not work. I would be overwhelmed seeing people who might resemble me and might know the story that was always denied me. Try as they might....they do not know me, nor I, them. It would be very difficult for me to be in the middle of a gathering of people who are supposed to be my family, but missed my entire life. I do not know how else to explain it. That's the beauty of adoption is tears families apart to make another family. Those that have never been in reunion or experienced this can say how or what they would feel like but really does one know to be honest. As a mother I can't comprehend growing up in a adoptive family. I can only imagine it must be hard especially if the adoptive family never acknowledges that the adoption can hurt. I know my son was hurt I see it. He was raised in a whole different type of family. JE: I think what you describe is quite common among adoptees. There are adoptees (cousins of his) in my husband's extended family, but they kind of disappeared into the sunset. And I hear this commonly--about adoptees who moved far away (as in my daughter's adopted brother, who did not come back to her wedding). ignore reunions, etc. I don't mean these are bad adoptions or anything like that, but the link that binds people who don't see each other often is missing. Lorraine wrote:"There are adoptees (cousins of his) in my husband's extended family, but they kind of disappeared into the sunset." I was hurt when I read this because I think it shows a lack of understanding of what may be going on with an adoptee who seemingly doesn't want a continued relationship with the a-family. For many of us adoptees there is a question mark hanging over our heads, especially after the adoptive parents pass on, as to whether or not we really belong. There is an insecurity that we are not fully accepted or considered a member of the extended family. The question that comes to mind when I hear about adult adoptees being estranged from the extended family is, "What other family do they have? Are they married? Do they have children?" If the adoptee is from the BSE, s/he very likely doesn't even know who his parents are and even if they have reunited, it is highly improbable that the adoptee is fully integrated back into the original family as if s/he had never left. Just recently I heard adoptive grandparents talking about their grandchildren and the one who is adopted was always referred to as the ADOPTED grandchild. The bio-grandchildren were referred to by their first names or as 'my granddaughter', 'my grandson'. Then another acquaintance was talking about her aunt and uncle and cousins and mentioned that since the aunt and uncle have both died she doesn't have any relationship with their children. Her reason is that her cousins are ADOPTED and to her that means they aren't family. Again, "Then what family do they have?" The BSE was a social experiment based on many faulty premises. And one of the most damaging, imo, was the belief that if the original family was completely erased from the picture the child would more fully 'bond' to the a-family and be more completely accepted as family. Nothing could be further from the truth. The way it has turned out, in many cases, is that adoption is more like a long-term foster care arrangement with the child, now an adult, never being fully accepted the way a blood family member would be. So what I ask of everyone who was raised in their bio-family and has adopted relatives, please be the one to reach out to the adoptees. Call your adopted family members, extend invitations, let them know that you want to include them and that you consider them family and always will. You may be surprised. They may be willing and eager to meet you more than halfway. Of course, I realize that every situation is different and that there can be various reasons that an adoptee has distanced him/herself. But I think there is a good chance that it is based on an insecurity about really belonging. Robin, you should know that I do understand what is going on--adoptees articulate it very well; I was just describing how it is to the outsider (that would be me) observing my husband's family--or even Jane's adopted brother, whose reason to not come to her second and important wedding was weird. But of course I understand what's going on. As for my husband, he barely keeps track of his blood cousins. Conversely, there is a cousin who kept better track of the family than anyone else. The one person who knew who here parents were would not tell her, not even on his deathbed. How cruel is that? I tried to get my mother to understand my feelings, but she cannot. The picnic was given by my father's sister. My father's family were the Kennedys of their little town. My grandparents were grand marshals of the July 4th parade years ago. The picnic/bbq was a July 4th tradition for many years. Mom is half balck and from the worst family in town. Her mom was a barlly who 7 kids with 7 different men, and some abortions too. Mom is her oldest. Mom had an illegal abortion of her first baby with dad, when she was 16 or so. Her mother knew the doctor. Dad married Mom when he learned of her second pregnancy, me. They planned to raise me but something went wrong. Dad says it was because they were both heroin addicts, Mom says she doesn't know why. They gave me away as soon as we were released from the hospital. they took me to the agency themselves. I think Mom still has a thing for Dad. She still thinks his family is the best. When i didn't want to go to the picnic I was insulting them. She went to the picnic with her kept son, from another man. So my mother, father, mom's kept son and dad's kept son all went to MY famalies picnic. We are all estranged now. This is timely for me, as an adoptive mom. My daughter's first mom went on vacation with her family this week and posted a video. I made the mistake of viewing at lunchtime, in my work cubicle. I was crying so much I had to escape to the bathroom. I couldn't help but view it through my daughter's eyes, seeing a missing little girl in each picture. Damn it, I'm getting all upset about it again... It really hurt to see all her family there, but not her. And I wonder if and when she stumbles across this video someday (I didn't save it for her, although I'm reconsidering and thinking maybe I should.... can't decide) she will hurt and feel left out. There were kids there not much older than her, cousins, I think, and I saw bits of her face in theirs. If I were you, I wouldn't share the video. If it bothers you, it will bother her even more. Let it be. She has enough to deal with without seeing happy pictures of her original family. You are a good woman, Tiffany. JE wrote: "A reunion of my first family, even though the same blood is running through our veins, would throw me completely. They all share a history with one another, which I missed. They might try to make me feel welcome, but it would not work. I would be overwhelmed seeing people who might resemble me and might know the story that was always denied me. Try as they might....they do not know me, nor I, them. It would be very difficult for me to be in the middle of a gathering of people who are supposed to be my family, but missed my entire life." That was my experience. 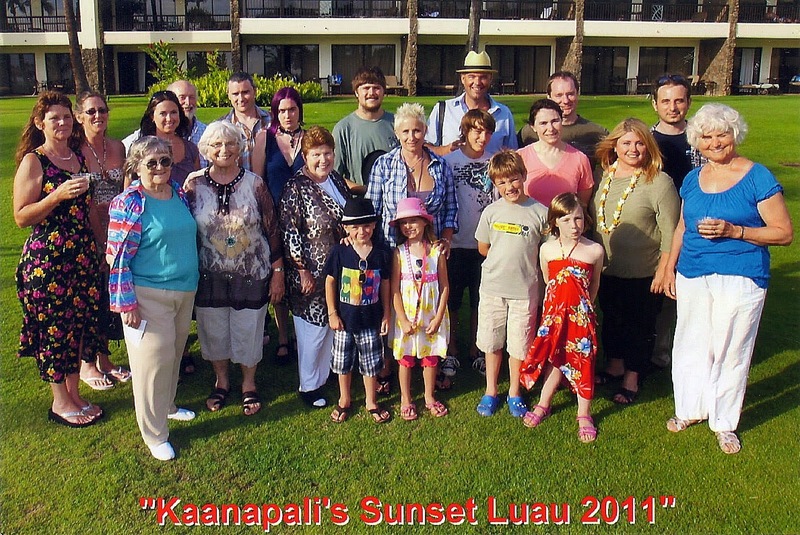 I went to two family reunions: one when I first met my mother, and one a destination reunion. It was overwhelming for me and all of us. I didn't know my first family's habits or their stories. I upset them inadvertently by taking time in my room to read, after listening to hours of them recounting how my grandfather or so-and-so did this and that. I didn't begrudge them their stories, not at all. It did hurt to know that I was absent for all of that history, and after many hours of listening, I needed to decompress. I didn't want them to stop talking, so I went to read. My mother came to my room to see what was up, and I told her that I was fine, just taking a little break because it was hard. She yelled out to the assembled group, "We have to stop talking because it's hurting her." Then I felt like a huge jerk, because that was never my intention. At the end, the entire all met for a last lunch and didn't tell me that they were meeting. I wouldn't have minded being left out, honestly; I *did* mind that they were meeting up and keeping it a secret from me. Enough secrets, I thought: I don't need to be treated with kid gloves, or like a child. We haven't spoken much since. It's all very sad. I grew up going to many afamily reunions, and yes, I know everyone in my aparents' families. I don't feel emotionally close to them, but I know all the stories of my aparents' generation, and of their parents'. Better than my acousins do. Quite ironic. My adoptee-outsider status is unfortunate, but it sure gave me good people-reading skills. Kat: I would have reacted the exact same way at a first family reunion. I would have needed to be alone, to decompress. From what you wrote, they didn't really know how to treat you....how to react to you being there among them. The whole thing is a mess. I am also the one cousin in all my adoptive family that knows certain history, and which cousin belongs to who, etc. No one else in interested, and it is ironic, as you say. yes...being an outsider does make one very good at observing other people! I saw my adoptive cousins a lot when i was growing up. My adoptive mother sent me to stay with her sister for a few summers, and my cousins were my playmates, but i did not like them. I never felt like i belonged with them. it was hard because my a mom adopted me, and then sent me away. A mom did it so she could work, because a dad didn't earn much, and a mom was better at earning. She actually became a dad's boss. I hated that, and hated being sent away. i used to wonder why she bothered to adopt me, if she was just going to send me away. I was sent away for the summers from age 6-14,when i could finally be trusted to care for myself. Today I'm not in touch with any of those cousins. I never see them. I have no adopted siblings. My true family doesn't like me. It's me, my husband and our 4 children, and a mom. She lives with us, she's 85, and knows me better than anyone. I still resent her for adopting me and sending me away, but I guess she's the best mother I have. As a follow adoptee I am not here to tell you how to feel. BUT, your amother did the best that she could because as your said: " A mom did it so she could work, because a dad didn't earn much, and a mom was better at earning. She actually became a dad's boss." Has it ever occurred to you that their are MANY "parents" that don't want to make the sacrifice and juggle work and family life ( many of today's bmoms have placed their second/third born because they don't "want to do it all over again"). Your mom was the bread winner and she thought she was balancing both by having you stay with your cousins while bringing in the income needed to keep a roof over your head and food in your stomach, which is more than what many of today's parents are willing to do. Hugs all around. So many stories here are heartbreaking. I notice many adoptees disappearing "into the sunset", as Lorraine put it. I don't see most of my adoptive cousins anymore, either. I am so disconnected from them, it's astounding. I keep in touch by email with one cousin who lives quite a distance away. We really have nothing in common, but we get along, kind of like friends. This was supposed to be the better life I was given up in order to have. It was not better, just different. And I never really fit in. Glad I am not the only adoptee who feels this way. I am an adopted person. When I attended a First Family reunion, there wasn't the type of discomfort for me that others have talked about. I also didn't particularly see similarities in appearances, mannerisms, etc. These were nice people for the most part. It was a nice vacation for me, and I got to meet some new people. They were kind and welcoming. However the culture in that group was very different than what I was accustomed to in my adoptive family. In the birth family, there was backbiting and alliance-forming. I'd talk to one family member, and they'd gossip about what they didn't like about another family member. Many people seemed to secretly disapprove of somebody else, and they aired it all to me, a stranger. In my adoptive family I never saw this happen. In the birth family, I noticed that cliques would form. Some family members were "in" and some were "out." I was "in" with everybody because I was new. It was certainly a fun time at the reunion. But I really never felt a sense of family or belonging. I just sort of took it all in. I attended two family reunions, but after that, it just didn't seem like it was worth the time or expense to keep going. And the alliance-forming thing really bothered me. I think I would have done better interacting with family members one at a time instead of in a big, overwhelming group. They are really nice, welcoming people. Both Jane and I will be away from the blog for a while. My surgery is tomorrow and I am leaving home in a couple of hours. Not sure how much computer time Jane has right now. Please be patient. Good luck and swift recovery Lorraine! "I am a mother who gave up my daughter for adoption. I am a mother who relinquished my daughter for adoption. I am a mother who surrendered my daughter for adoption. I am a natural mother. I am a biological mother. I am a first mother. I am a birth mother. I am a mother who was reunited with her daughter after 15 helllish years apart. I am a mother whose daughter committed suicide. I suppose that means I should write: I was a mother. I am a grandmother now--two grandchildren, one who acknowledges me, one who apparently does not want to know me. I am still her grandmother. I am all these things, and I have millions of sisters. Together we should be able to change the world. But if the language we use must be rigidly pure before we can agree to work together to change the laws to protect more women from unscrupulous, biased laws designed to get babies away from their mothers (see previous post), we will never get anywhere. We will continue to fight over matters that do not forward our cause. We will accomplish nothing. I do not like the appellation "birth mother" any more than those of you who have written that in the comments,"
"Birthmother". I don't care for the term, either. I try to always use "first mother" but sometimes people don't know what I mean by that. This post about family reunions really got me thinking. As I mentioned, a reunion of my extended first family would throw me into a tailspin. Reunions of my adoptive family are something I no longer participate in. Which brings me to my first mother. When I think of how she was dismissed by my adoptive parents throughout my life, I cringe. I didn't cringe years ago, but I do now. The manipulation and brainwashing that goes on in adoption-created families is astounding. And it works for a while. But it's not working for me anymore. My first mother was not just "the girl." She gave birth to me. Without her my adoptive parents would have no family at all. I would have loved to communicate with my first mother once. Maybe speak to her. We could have talked about our art careers. I would have learned why events unfolded the way they did. Sadly, it looks like my search is at an end. DNA test results are not matching me with any cousins or family members close enough to make a difference. I know now that I am not Italian, the way I was brought up, but a mixture of Spanish, Irish, and Scottish. Three search angels were able to find only the exact same information that I found on my own. I have my birth name and the name of my first mother and that is all. If ever a person was forced to disappear from this earth, it was she. Oh Julia Emily, I hope this isn't the end of the search. I think you would be a lovely person to find. JE: When they don't get "first mother," just explain by saying, "my OTHER mother." They won't need to question unless they are dolts. hugs as always to you. LOL !! "Dolts." I seem to come across a lot of them when I try to explain this whole ugly situation. I am convinced that adoption is the most misunderstood subject on the planet. And it is impossible to explain, because people all have their pre-conceived ideas about it. I get more intelligent responses if I talk to my dog, honestly! Glad to hear you are pain-free and getting around a bit! We missed you! Cherry, thank you! We will see if further things happen from the DNA test. But I think that's all I can hope for. I just watched 'Long Lost Families' - a programme here in the UK. A woman sought her mother for decades but had misread the information slightly. Above what she had assumed was her mother's married name was the letter 'm'. Much later, she realised this meant 'middle' - it was her mother's middle name. Is there any chance something like this has happened in your case? Also, if your family heritage is Spanish, Scottish and Irish - could the surname you have for your first mother have been translated back to either of these languages if they returned to their country of origin? Or a variant of the surname?